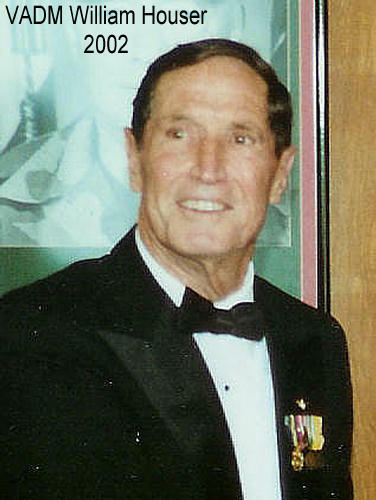 Houser during the 60th anniversary commemoration of the BOM, 2002. William Houser was an assistant gunner officer aboard the cruiser USS Nashville (CL-43), which accompanied the Doolittle raiders toward Japan. His contributions to Chapter 3 in No Right to Win provide interesting insight on the consternation that occurred when the task force was prematurely discovered by Japanese picket boats. He also provided an important endorsement for the book prior to publication, for which the author is deeply grateful.